©2015 37" x 44" (Wall Hanging), 58" x 72" (Throw), 69" x 90" (Queen, shown in photo). 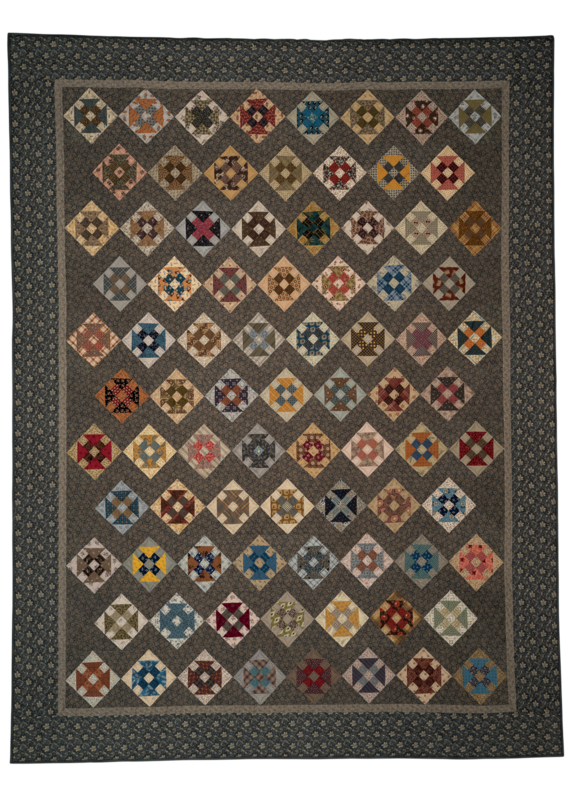 This quilt is made from blocks exchanged with Garnet Roesel, Linda Koenig, and Pam Antalis over a period of one year. Each month, we all made two 5-inch monkey wrench blocks from reproduction fabrics for each person in the group. As I look at these wonderful blocks, I’m reminded of the special place each maker holds in my heart.